The EPiCOR Group contributes to teaching opportunities and publications for the purpose of raising awareness of the need for evidence-based decision-making (EBDM), medical economics and health technology assessment (HTA), and Know4Go. Co-Chair, World Health Organization & Western University Partnership Day, WHO Delegates & Schulich School of Medicine Leadership symposium to explore partnership opportunities in HTA & Decision-Maker training, 2014. Visiting Professor, Vanderbilt University, 2-day professorship to provide Know4Go, HTA & Decision-Making lectures to faculty and senior leadership, 2014. Research Co-Lead, Maternal & Child Mortality, WHO GIEESC & Anesthesia Research Committee, 2013 to present. AdHopHTA Canadian Lead & International Partner, Canadian partnership with the Adopting Hospital HTA Project (European Commission supported cross-national project), 2013 to present. Faculty & Coordinating Committee Member for Curriculum & Program Oversight of the Ulysses Master of Science in Health Technology Assessment & Management (MScHTA&M), a partnership between University of Toronto, University of Montreal, University of Barcelona, Catholic University of Rome, 2009 to present. Visiting Professor, University of Barcelona, School of Economics, 2013. Faculty and Instructor, Teaching EB Medicine course, Oxford University, UK, 2006-2009, 2010. Co-Lead, HTA & EB Decision-Making Workshops, International Anesthesia Research Society, 2012, 2013, 2014. Member, World Health Organization Emergency & Essential Surgical Care (WHO GIEESC), 2012 to present. Invited Honorary Lecturer, Centre for Evidence-Based Medicine, Oxford University, UK, facilitated “How to Teach Evidence-Based Medicine”, and provided guest lectures for short courses in Systematic Reviews, Medical Decision-Making, & Know4Go, 2010.
International Task Force On Decision Criteria: international collaborator along with other methodologists, policymakers, and clinicians, working together to develop criteria for decision making and prioritization in health care, 2011 to present. Collaborators include University of Montreal, Evidem, University of York, University of Twente, Radboud University, and CIHR. International Reporting of Case Studies Guidance (ROCS) Steering Group: international team of methodologists and clinicians to develop guidance for appropriate reporting, interpreting, and synthesizing of case reports and case series, 2010 to present. Methodology Lead for Systematic Reviews & Meta-Analysis to inform International Consensus Statements & Guideline Development: methodology expert and lead systematic reviewer of the evidence for 11 international consensus conferences for cardiothoracic surgery and minimally-invasive surgery. Subjects covered include off-pump coronary artery bypass surgery (OPCAB), endoscopic vein harvesting (EVH), transmyocardial laser revascularization (TMR), video-assisted thoracic surgery for lung cancer (VATS), stented versus stentless aortic valves (SAV), surgical ablation for atrial fibrillation (AF), thoracic endovascular aortic repair (TEVAR), minimally invasive mitral valve surgery (MIMVS), blood management for minimally invasive surgery (multiple drugs, devices, procedures), antibiotic prophylaxis (ABX), transcathether aortic valve implantation (TAVI), Thoracic endovascular Aortic Repair (TEVAR), Off-Pump CABG Update, 2004-2015. Contributor, Health Information for All 2015 [HIFA 2015], WHO supported initiative to reduce the risk of “dying for lack of information” (HTA and Evidence for the developing world), 2012 to present. International Panel on Individual Patient Data Meta-Analysis (IDP) of Tight Glucose Control for ICU Patients: In collaboration with Dieter Mesotten and Simon Finfer. Consensus Conference Member & Subgroup Co-Lead: expert member for 2 consensus conferences for international guidelines for pharmacology, technologies, and techniques for prevention and treatment of upper GI bleeding, 2003, 2009. Member, Steering & Scientific Committees, 1st, 2nd, 3rd, 4th International Symposium for Teachers & Developers of Evidence-Based Health Care, Sicily, Italy, 2001-2007. Inaugural Chair, Canadian Hospital/Regional HTA Network, pan-Canadian Health Technology Assessment Collaborative: A newly-inaugurated network for national collaboration in prioritizing, conducting, and implementing evidence-based health technology assessments of relevance to the acute care setting and the hospital-regional interface, 2013 to present. Chair, HTA Exchange, in collaboration with the Canadian Agency for Drugs and Technologies in Health (CADTH): A network of health technology assessment producers across Canada, to share information about technology assessments and to develop methodology innovations for HTA and relevant decision-making, April 2012-present. Vice-Chair, HTA Exchange in collaboration with Canadian Agency for Drugs and Technologies in Health (CADTH): an inaugural network of health technology assessment producers from across Canada in response to the mandates set out in the HTS 1.0, 2009-2012. Invited Member, pan-Canadian Health Technology Assessment Collaborative (Health Canada, CADTH, HTA Exchange, Policy Forum, and selected representative agencies involved in HTA or decision-making at HTA agency level and MOH level): This collaborative serves as a forum for decision-makers, provincial HTA agencies and the academic community to share best practices, minimize duplication of effort, pool resources for joint projects, and promote transparency in health technology management. The ultimate aim is to cooperate to improve health technology assessment and management nationally for non-drug technologies, 2012 to present. Health Canada, Invited Expert Submission of a White Paper on Know4Go as a potential framework to facilitate Health Technology Assessment and Management for Canada: White paper submission for Health Canada to explore Know4Go as an innovative framework to link the evidence, economics, ethics (and other essential ‘sleeper’ aspects that influence decision-making), in order to make explicit the multidimensional opportunity cost “tradeoffs” when assessing multiple technologies at various levels of decision-informing (national planning, government and regional decision-making and implementation). The potential for using the framework to visualize the dependent links and tradeoffs between technology uptake and disinvestment was proposed from a variety of perspectives as a basis to increase national coordination of health technology assessment and management, while respecting the need to maintain independence and contextualization at the provincial level. Linking planning, assessment, implementation, with real-world outcomes feedback into the framework was emphasized, 2012, ongoing. Member, Canadian Network for Environmental Scanning in Health (CNESH), Canadian Agency for Drugs and Technologies in Health (CADTH): network of HTA producers and users at the macro-, meso-, and micro-level collaborating to identify upcoming health technologies, and their implications for health care in the near-term and long-term. Enables assessors to prepare evidence-based reviews, and enables decision-makers to prepare for policy analyses and entry to market, 2011 to present. Contributor, Canadian Society of Hospital Pharmacists, Knowledge Translation Toolkit, 2010. Member, Scientific and Planning Committee, Canadian Agency for Drugs and Technologies in Health (CADTH) Annual Symposium, 2005 – 2006. Member, Primary Care Task Force, Collaborative between Canadian Society of Hospital Pharmacists and the Ontario Drug Programs Branch, 2003 – 2004. Member, Drug Programs and Administration Working Group to Advise on the Drug Strategy Review (DSR) for the cross-national coordination of drug policy making in preparation, which led to the creation of the Common Drug Review (still in existence today), Toronto, 2002 – 2004. Manager, Canadian Adverse Drug Reaction Program (CADRMP), Ontario Region, Managed Adverse Drug Reaction Reports and Interpretation for the Ontario region for the federal program of ADR Monitoring, Responsible for oversight and reporting syntheses and trends, 2003 to 2006. Voting Member & Clinical Reviewer, Committee to Evaluate Drugs, Ministry of Health of Ontario (MOHLTC), responsible for providing expert reviews and providing policy advice to the Executive Officer to the Minister of Health (2004 to present; reappointed by the Minister for a third 3-year term). Co-Developer & Member, Policy Framework for Drugs for Rare Diseases, Ontario Framework for Drugs for Rare Diseases (DRDs), inaugural working group member and co-developer of policy for drugs for rare diseases. Member, Ontario Council of Teaching Hospitals (OCOTH) Pharmaceutical Task Force in collaboration with ICES, Toronto, 2001- 2003. Coordinator, Annual Program for Evidence-Based Decision-Making for Senior Leadership, Ontario Hospital Association Convention, Toronto, Ontario, 2001. 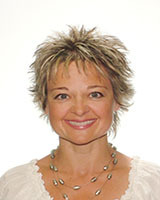 Founder and Co-Director, Medical Evidence, Decision Integrity, Clinical Impact (MEDICI), inaugurated in 2012 with operating support from the London Hospitals, Schulich School of Medicine & Dentistry, and the Lawson Health Research Institute for the purpose providing collaborative leadership in identifying, prioritizing, synthesizing, contextualizing, and reliably translating important medical knowledge related to drugs, devices, procedures and programs into real world practice and policy - first locally (real world implementation laboratory), and then beyond (regionally, nationally, and internationally); emphasis is on collaborative efforts to improve decision-making that resonates with real world needs and timelines, 2012 to present. Founder and Director, High Impact Technology Evaluation Centre (HiTEC), provides advice for policy making for drugs, devices, and procedures in the hospital setting based on comprehensive systematic reviews of the evidence, economics & Know4Go contextual analyses; evaluates and feeds back the impact of implementing the recommendations, and dynamically incorporates this real-world evidence to inform future decisions for investment and disinvestment in drugs, devices and procedures at the London Hospitals, 2004 to present. Founder and Co-Director, Evidence-Based Perioperative Clinical Outcomes Research (EPiCOR), in collaboration with end-users and senior leaders, conducts collaborative evidence-based reviews of drugs, devices and procedures of relevance to the surgical, perioperative, and critical care setting, in order to inform clinical, policy, and research-related investments and disinvestments. Feeds back the need for more research to the local research agenda, 2004 to present. Secretary, Drugs & Therapeutics Committee, London Health Sciences Centre, 2003 to 2010. Member, London Health Sciences Centre Strategic Initiative Task Force: Evidence-Based Care, 2005 – 2007. Collaborator & Regional Instructor, Creating a regional evidence-based guidelines panel: responsible for teaching interpretation of the evidence, and for promoting knowledge translation of selected guidelines in the SW Ontario region (Chairs, Dr. William Sibbald & Lydia Lee), 1997-1998. Li JY, Gong J, Zhu F, Moodie J, Newitt A, Uruthiramoorthy L, Cheng D, Martin J. Fibrinogen Concentrate in Cardiovascular Surgery: A Meta-analysis of Randomized Controlled Trials. Anesth Analg. 2018 Sep;127(3):612-621. doi: 10.1213/ANE.0000000000003508. Solo K, Lavi S, Choudhury T, Martin J, Nevis IF, Kwok CS, Kotronias RA, Nishina N, Sponga S, Ayan D, Mamas MA, Bagur R. Pre-operative use of aspirin in patients undergoing coronary artery bypass grafting: a systematic review and updated meta-analysis. J Thorac Dis. 2018 Jun;10(6):3444-3459. doi: 10.21037/jtd.2018.05.187. Crit Care Med. 2018 Feb;46(2):252-263. Jasudavisius A, Arellano R, Martin J, McConnell B, Bainbridge D. A systematic review of transthoracic and transesophageal echocardiography in non-cardiac surgery: implications for point-of-care ultrasound education in the operating room. Can J Anaesth. 2016 Apr;63(4):480-487. Louzada ML, Hsia CC, Al-Ani F, Ralley F, Xenocostas A, Martin J, Connelly SE, Chin-Yee IH, Minuk L, Langner A. Randomized double-blind safety comparison on intravenous iron dextran versus iron sucrose in an adult non-hemodialysis outpatient population: A feasibility study. BMC Hematol. 2016 Mar 11;16:7. Wang L, Johnston B, Kaushal A, Cheng D, Zhu F, Martin J. Ketamine added to morphine or hydromorphone patient-controlled analgesia for acute postoperative pain in adults: A systematic review and meta-analysis of randomized trials. Can J Anesth. 2016 Mar;63(3):311-325. Wang L, Lee M, Zhang Z, Moodie J, Cheng D, Martin J. Does preoperative rehabilitation for patients planning to undergo joint replacement surgery improve outcomes? A systematic review and meta-analysis of randomised controlled trials. BMJ Open. 2016 Feb 2;6(2):e009857. Habbous S, Garg AX, Martin J. Appraisal of a redundant report on lanthanum carbonate. Int Urol Nephrol. 2016 Jan;48(1):149-50. Puskas JD, Martin J, Cheng DC, Benussi S, Bonatti JO, Diegeler A, Ferdinand FD, Kieser TM, Lamy A, Mack MJ, Patel NC, Ruel M, Sabik JF 3rd, Yanagawa B, Zamvar V. ISMICS Consensus Conference and Statements of randomized controlled trials of off-pump versus conventional coronary artery bypass surgery. Innovations (Phila). 2015 Jul-Aug;10(4):219-29. Polisena J, Lavis JN, Juzwishin D, McLean-Veysey P, Graham ID, Harstall C, Martin J. Supporting the use of health technology assessments by decision-makers. Healthc Policy. 2015 May;10(4):10-15. Clarke JT, Coyle D, Evans G, Martin J, Winquist E. Toward a functional definition of a "rare disease" for regulatory authorities and funding agencies. Value Health. 2014 Dec;17(8):757-61. Epub 2014 Oct 18. Winquist E, Coyle D, Clarke JT, Evans GA, Seager C, Chan W, Martin J. Application of a policy framework for the public funding of drugs for rare diseases. J Gen Intern Med. 2014 Aug;29(3 Suppl):774-9. Bardou M, Martin J. The increasing need for health-economic assessment in gastrointestinal and liver diseases. Best Pract Res Clin Gastroenterol. 2013 Dec;27(6):829-30. Martin J, Cheng D. Role of the anesthesiologist in the wider governance of healthcare and health economics. Can J Anaesth. 2013 Sep;60(9);918-28. Neumann I, Letelier LM, Rada G, Claro JC, Martin J, Howden CW, Yuan Y, Leontiadis GI. Comparison of different regimens of proton pump inhibitors for acute peptic ulcer bleeding. Cochrane Database Syst Rev. 2013 Jun 12;6:CD007999. Bainbridge D, Martin J, Arango M, Cheng D. Anaesthetic-related mortality in sub-Saharan Africa – Author’s reply. Lancet. 2013 Jan;381:199-200.